I made this picture just last night with my photo club. Nate brought his custom guitars out for us to photograph, and even posed with them for a minute. I made this picture, transferred it to my phone, then used Apple’s Air Drop to transfer it to him right there. 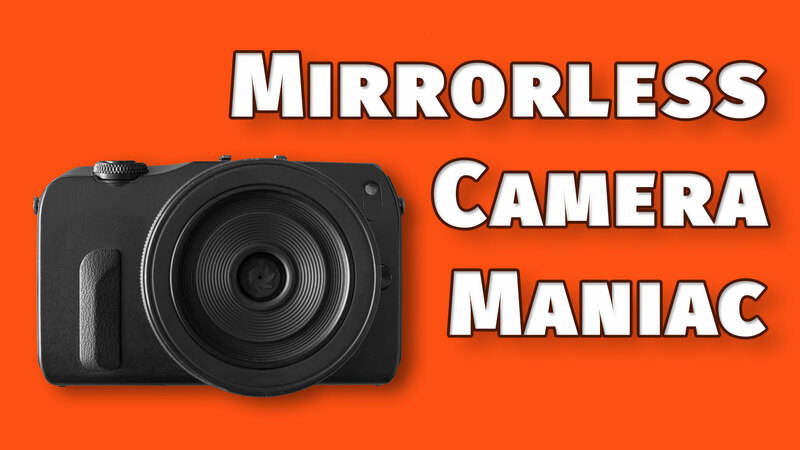 Most mirrorless cameras include wifi and the ability to work with a smartphone app, and most mirrorless photographers I talk to aren’t maximizing that connectivity and the included functions. The cameras themselves create the wifi, so you don’t need to connect to wifi wherever you are. I highly recommend you get used to using your app and let it help you work better. Here are some of the things I do regularly with my Lumix cameras and the Panasonic Image App. Whether I’m sending pictures I just took of my kids to my wife or sharing pictures I just made with a client, I use this function daily. More and more, people want their pictures immediately and I find that sharing one during the shoot satiates the need for immediacy and gives me more time to finish the rest before sharing. It’s waaaaaay better than taking a phone picture of the back of the camera. The trick with my camera/app combo is that only JPEGs can be transferred. Fortunately, your camera can create a JPEG from any RAW file you’ve shot, and also allows you to put some finishing touches on the photo. I often use my camera’s RAW processing tool to create a black and white JPEG of a photo and I share that with the client. This both trains my clients to like my black and whites, and it allows me to not be concerned with perfect color correction. I don’t know if all mirrorless camera apps have this function, but the Lumix cameras can shoot tethered to a computer. It’s a little complicated to setup, but I’ve used it several times and it works well. The best thing is that you can set Lightroom to Auto Import (File menu) and as you shoot it will bring the pictures directly into Lightroom with presets applied if you like so that a client sitting with you sees exactly what the finished photo will look like. It’s cool, and there are no cables to trip over. It’s worth investigating to see if your camera has this option. Because the app is connected to the phone, and the phone has GPS and synchronized world time, you can perfectly synchronize your cameras clocks and tag the photos with the GPS coordinates. That’s very cool, and it doesn’t require a costly external unit that devours battery life as most DSLR’s do. The simplest thing you can do with your app is fire the shutter and control the exposure settings. You’ll see a live view through your lens on the screen and you can make all kinds of adjustments from the phone. You choose where to focus by touching the scren on the phone. I use this regularly when shooting landscapes to save myself from lying in the dirt to look through the viewfinder, and especially when photographing stars. I can sit in the warmth of the car or tent while my camera works outside. What Else Can Yours Do? If you’re like most photographers, you’re not maximizing your camera’s app. I use the Lumix system, so I’m most familiar with that app. What about your camera? What other functions do you use and recommend? Please weigh in with a comment and help others reading here maximize their camera apps. The Olympus OI Share app can do all of those things. Unfortunately it can’t access most of the advanced features of the camera. Its limited to basic PASM functionality. You can use it as a remote shutter release, but you have to set everything on the camera, but everything is available to use then. I keep hoping Olympus will rewrite it, it hasn’t changed much in the three years I’ve used it. It needs a serious update. MySony’s have this capability. I can set aperture, ISO etc. on the phone and touch the screen for point of focus, something I can’t do on the camera. I recently made a self portrait for an assignment using this app, the RAW file saved to the camera card and a jpg saved to the phone. Awesome.